Oh Baby! Pink is part of the blush collection Revlon released late 2013. It is a sheer light neutral pink with a matte finish. 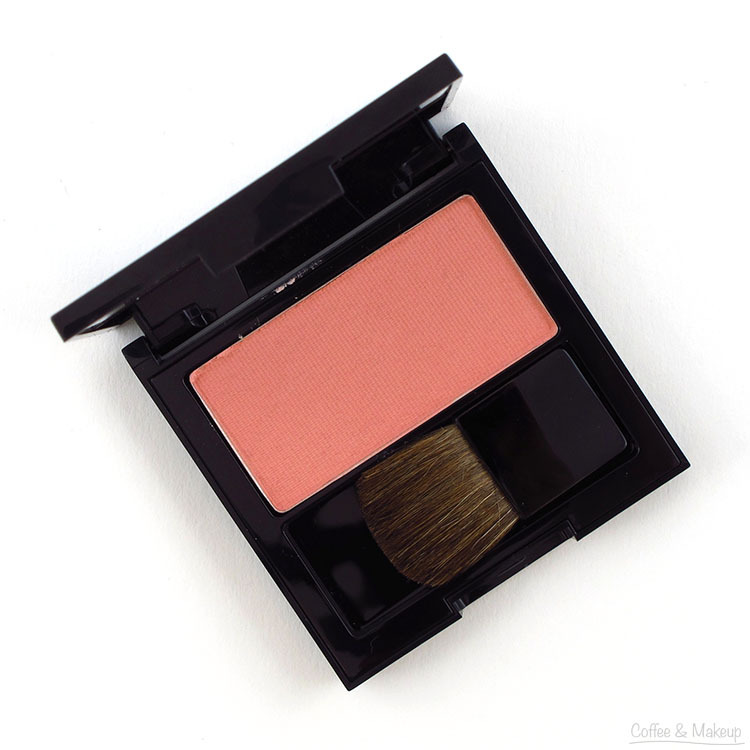 Revlon Powder Blushes cost around $10 and contain 5g / 0.17 oz. of product. They are available more widely now at drugstores, Ulta, and Target. It has a matte finish but doesn’t make the skin look dry or powdery, or emphasize large pores. A shade like this that is very light and also sheer is only going to suit a very narrow group of people. I have fair skin and I have to build this shade up to get it to show up. What I have on in the picture is about 3 layers and you can see that it is still a barely-there kind of look. Only if you are very fair and/or prefer your blush look to be barely-there. Otherwise, for most people this shade isn’t going to show up.